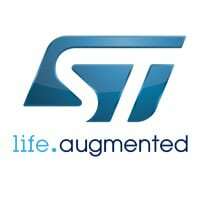 PARTNER NEWS: STMicroelectronics has introduced a range of dynamic tag chips that support both the NFC Type 5 and the ISO 15693 RFID specifications, enabling them to be read by both standard NFC smartphones and, at a longer range of up to one metre, by RFID readers. The ST25DV chips are designed to deliver “the best combination of features” of both NFC Type 5 and ISO 15693, says Patrick Sohn, marketing manager for NFC tags and readers at ST, and include native NFC NDEF message support and ISO 15693 long-range RF connectivity. Energy harvesting for zero-power applications is also supported over RF and I2C interfaces, via a 256-byte enabled fast transfer mode. The chips consume “minimal energy” in all modes (down to one micro-amp in low power mode) and include an I2C interface that enables them to be connected to a host microcontroller located inside equipment such as smart meters, IoT devices and consumer products. The ST25DV series also features “the market’s highest EEPROM density of 64Kbits with multiple 64-bit passwords to offer enhanced data protection capabilities” and are “compatible with any existing ISO 15693 RFID infrastructure, with no additional investment required”. Samples of the dynamic NFC/RFID tag chips are available now, with volume production scheduled for May 2017. Prices start at US$0.38 for the 4Kbit ST25DV04K chip in an SO8 or TSSOP8 package for orders of 1,000 pieces.